WELCOME TO THE EPISICOPAL CHURCH OF THE GOOD SHEPHERD! The Church of the Good Shepherd is one of three Ohio Episcopal parishes that were built to serve a campus. 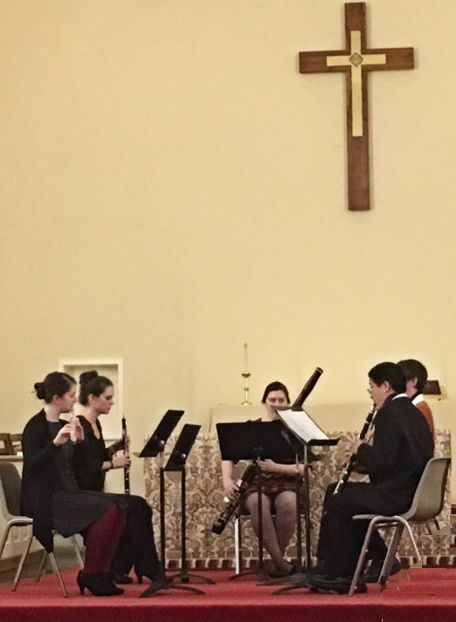 The Church's music program is among the best in the diocese, and engages professors and students with townspeople on a weekly basis. The Church provides a free lunch every Wednesday to students and residents alike. Through it's different outreach ministries, the parish strives to meet immediate needs, to remove the root causes of injustice, to encourage forms of community that transcend divisions in our society, and to strenghten fellowship and spirititual growth. We invite your ideas and participation. If you Join our Mailing List you will receive a weekly e-mail newsletter containing news, announcements, and more. 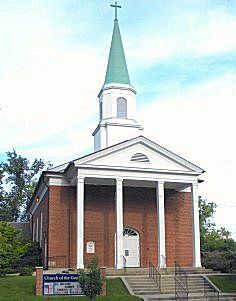 The church sanctuary provides an excellent venue for performance and music rectals. Please call and/or leave a message at 740-593-6877 or barbara@chogs.org. Please browse the "Events Calendar" for scheduling details. Need some quiet time? 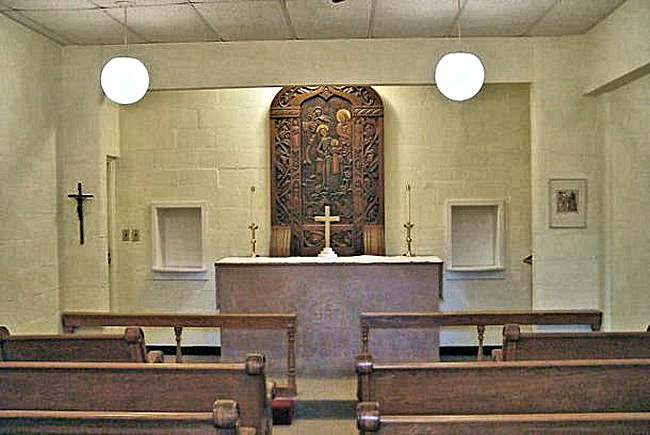 Visit the Bishop Black Chapel. 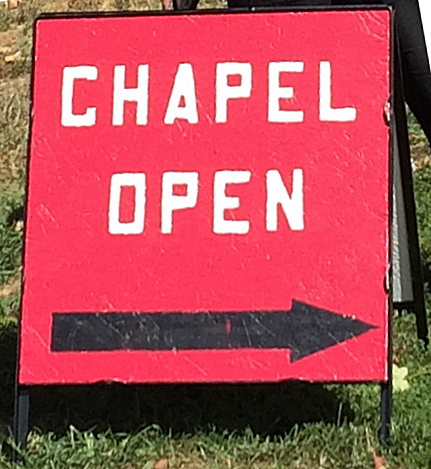 This small chapel is located across from the "food truck" area and is open during regular church office hours (10:00 a.m. - 2:00 p.m., Monday thru Thursday) and when the CrossRoads Cafe' is open (7:30 a.m. – 11 a.m. Monday, Tuesday, Thursday, Friday, and Sunday 1–3 p.m.). Look for the red sign. Each Wednesday from noon to 1:00, a crew from Good Shepherd serves an excellent meal to over 75 people. This ministry began in the late 90's by an energetic college student, Molly Gilbert. With a desire to serve, she simply began feeding peanut butter and jelly sandwiches to anyone in need of a free meal. Today that spark has been carried on by the parish as a whole. We have four teams who take one week of the month. 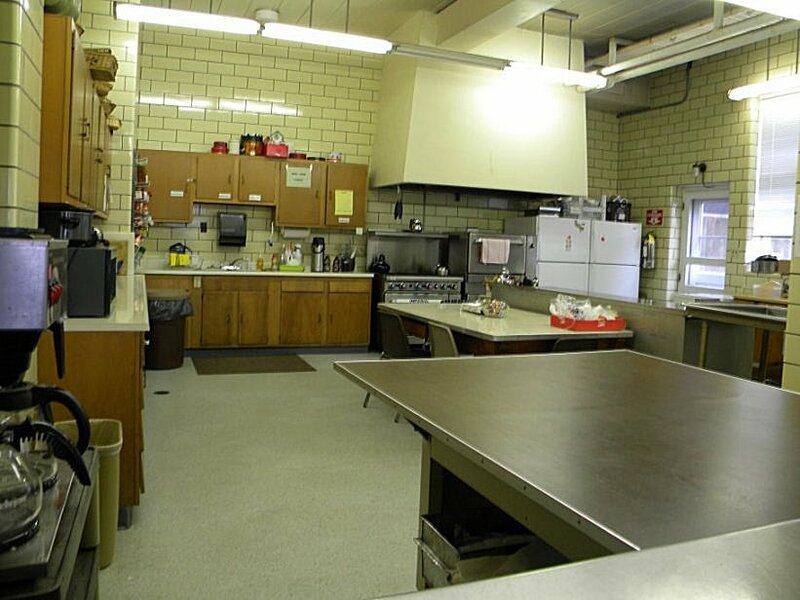 There are many volunteer opportunities, from cooking and chopping up food to serving the meal and cleaning up. If you would like to help please show up at the parish kitchen downstairs around 10 a.m. or contact Phyllis Dean at 740-593-8487. If you Join our Mailing List you will receive a weekly e-mail newsletter containing news, announcements, this coming Sunday, and a prayer list. The Plainsong Farm Fellowship is a twelve-week program for young adults, ages 21-30, that offers immersive experiences and education in small-scale regenerative agriculture, spiritual practice, Christian learning, entrepreneurship and leadership, and communal living. Click HERE for the website and more information. ... browse our Links and Resources page. United Campus Ministry http://www.ucmathens.org engages the Ohio University and Athens communities in spiritual growth, community service and work for justice, guided by socially progressive and interfaith values. or by e-mail at revdebwoolsey@gmail.com.